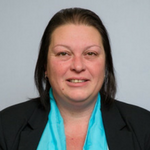 Michele has spent her working life in a financial background starting at Eagle Star Insurance as a Credit Controller in 1988 and later as Debt Recovery Manager at Direct legal & Collections from 1999, where she gained a distinction grade at that the CSA (Credit Services Association) diploma, Michele joined JL ICS in 2009. It is said that Michele is at her happiest crunching numbers on multiple excel spreadsheets and now handles much of the statistical reporting, invoicing and collections for our conference clients. Michele does turn her hand to things other than numbers, usually systems related (scanner and ACC CRM) and onsite registration desk running and setup.